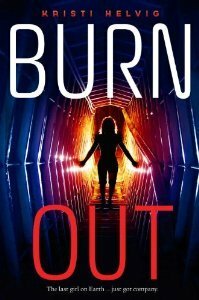 Synopsis for Burn Out: Most people want to save the world; seventeen-year-old Tora Reynolds just wants to get the hell off of it. One of the last survivors in Earth's final years, Tora yearns to escape the wasteland her planet has become after the sun turns "red giant," but discovers her fellow survivors are even deadlier than the hostile environment. 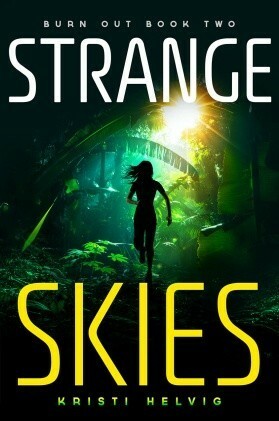 Synopsis for Strange Skies: Action, adventure, and romance are heating up in this sequel to the futuristic science fiction thriller Burn Out. Perfect for fans of Across the Universe and The Memory of After. You guys might have seen my reviews for both Burn Out and Strange Skies. Maybe you've even seen my book boyfriends post for James. I've also had the privilege of being able to interview Kristi Helvig herself. And yet, somehow (which is a completely mystery to me) these books are not getting the credit they are due. In my opinion, these books can stand out with the best of the dystopian sci-fi's that are out there right now. They are quick and fun reads. There is great world-building, diverse characters, and a hot leading male. What more can you ask for from YA books? Is their a third book? I really want to know!